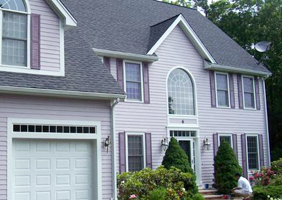 If the idea of selecting a garage door for your Orlando, FL, home is intimidating or overwhelming, do what so many other homeowners have done – turn to the experts at 31-W Insulation. We can offer you professional design help and expert installation to make sure that your new door not only spruces up the appearance of your home, but also provides the practical features you desire. If increased security is what you seek, we offer doors that are engineered with strong materials like multi-layer, heavy-duty steel to keep your family safe. We can also help with energy consumption, as many of our doors are insulated and provide an airtight seal that prevents heat transfer and keeps temperatures in your garage stable. Whether you are seeking one of these benefits, or all three, we are the company you can turn to with confidence. These outstanding manufacturers are known for engineering doors in numerous styles to suit your home’s architecture, complement the other homes in your neighborhood, and satisfy your own personal sense of style. Additionally, you will be able to personalize your garage door by choosing from a wide range of color options, hardware accessories, and window options, making your new door completely yours. To learn more, contact 31-W Insulation. We proudly offer garage door options in Orlando, Florida.